HAMPTON, Virginia — On the banks of the Chesapeake Bay, Terry Brown sits in his office at Fort Monroe and reflects on ghosts from long ago autumns: Confederate Army General Robert E. Lee was stationed at Fort Monroe from 1831-1834 and strolled the same creaky hallways that Brown walks today. Brown, 48, the first African-American National Park Service Superintendent to oversee Fort Monroe National Monument, has adapted to an unusual workspace that once served as Lee’s military home. Brown’s office, which could have been filled with Lee’s Confederate keepsakes, has been transformed with contemporary books by African-American authors and a framed photo of former President Barack Obama. Today, Brown ponders the best approach to discuss the history of slavery with Virginia residents. He has embarked on a profound mission to help bridge the racial divide in Virginia by sharing the historical account of Fort Monroe. Twenty enslaved Africans were brought to Fort Monroe in 1619 aboard the White Lion, a Dutch ship. They were part of the first Africans on record to be forced to work as laborers in Virginia. President Obama declared Fort Monroe a National Monument in 2011. 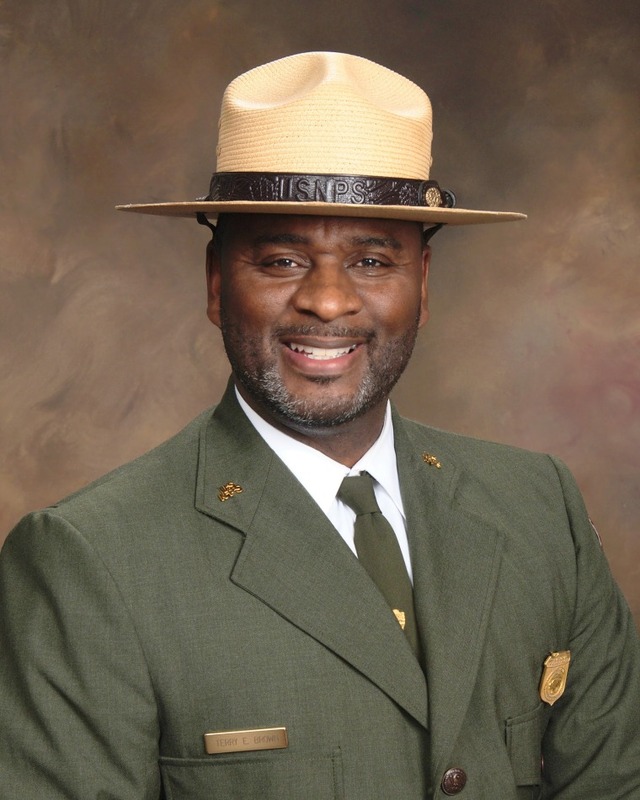 Brown, a 27-year veteran of the park service, accepted his appointment 16 months ago. Since then, Virginia has experienced the deadly rally by white nationalists in Charlottesville and a fierce debate over the removal of Confederate monuments. Related: Gen. Kelly Says Civil War Due to Lack of Compromise. Historians Dispute That. As White House Chief of Staff John Kelly faces backlash over his Civil War comments, Brown is also keenly aware that not all Americans embrace a contentious argument: that the Civil War was fought over slavery. “This is complicated history,” said Brown, a natural storyteller who also enjoys speaking to Hampton’s grade-school students. The timing of Brown’s appointment at Fort Monroe is alsosignificant: Kathy Spangler, Director of Virginia’s 2019 Commemoration, said her team is meticulously planning a major statewide event in 2019 – entitled “American Evolution” – to mark the 400th anniversary of the first representative legislative assembly in the New World, the arrival of the first recorded Africans to English North America, and the recruitment of English women in significant numbers. Spangler, who works closely with Brown, said Fort Monroe will play an integral role in the 2019 commemoration. Named for President James Monroe and built between 1819 and 1834, the fort became a vital Union stronghold during the Civil War, Brown said. In 1861, three black men – Sheppard Mallory, Frank Baker and James Townsend — who were working for the Confederate Army — sought freedom with the Union but the 1850 Fugitive Slave Act required these men be returned to slavery. Fort Monroe’s commander, Major General Benjamin Butler, argued that Virginia seceded and was no longer part of the United States and claimed the men were the Union’s “contraband of war.” When word spread about Butler’s pronouncement, thousands of black men, woman and children traveled miles seeking their freedom in what was called as “Contraband Camps” near Fort Monroe, Brown said. Virginia State Sen. Mamie Locke (D), former Hampton mayor said she is passionate when talking about slavery and Fort Monroe because she grew up in Mississippi walking past Confederate monuments. “It was insulting that we were honoring people like Jefferson Davis and Robert E. Lee who had committed treason against the United States,” Locke, a professor at Hampton University, told NBC News. In the meantime, Brown, a self-described optimist, sits in his office where the Confederacy’s past intersects with modern-day civic engagement.